Sloping very slightly, the drop in elevation produces a change in habitat. 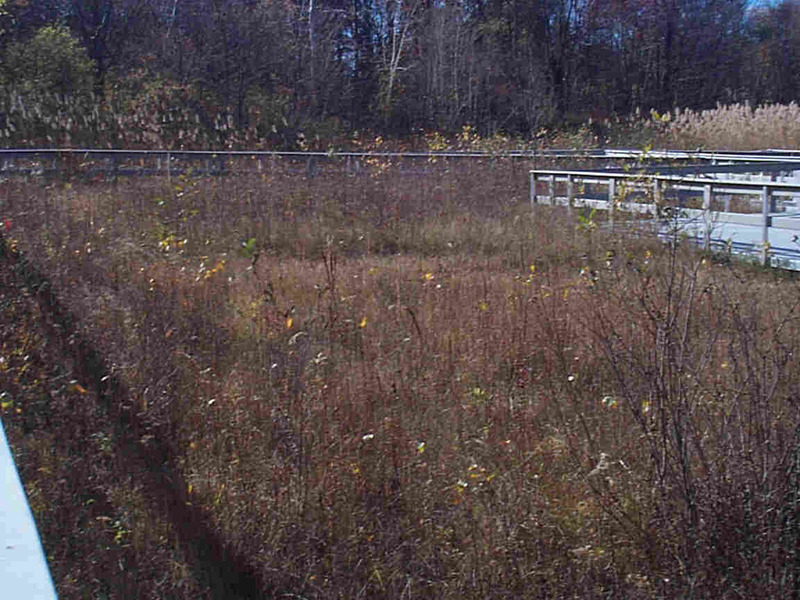 This area and on the opposite side of the railing is wet meadow. Not quite as wet as a marsh but wetter than upland, the vegetation is a combination of wetland and upland plants. In July or August, Boneset (Eupatorium perfoliatum) is a dominant flower. In the fall, Purple Gerardia (Gerardia purpurea) is quite abundant.